The US equity market remains broadly strong. 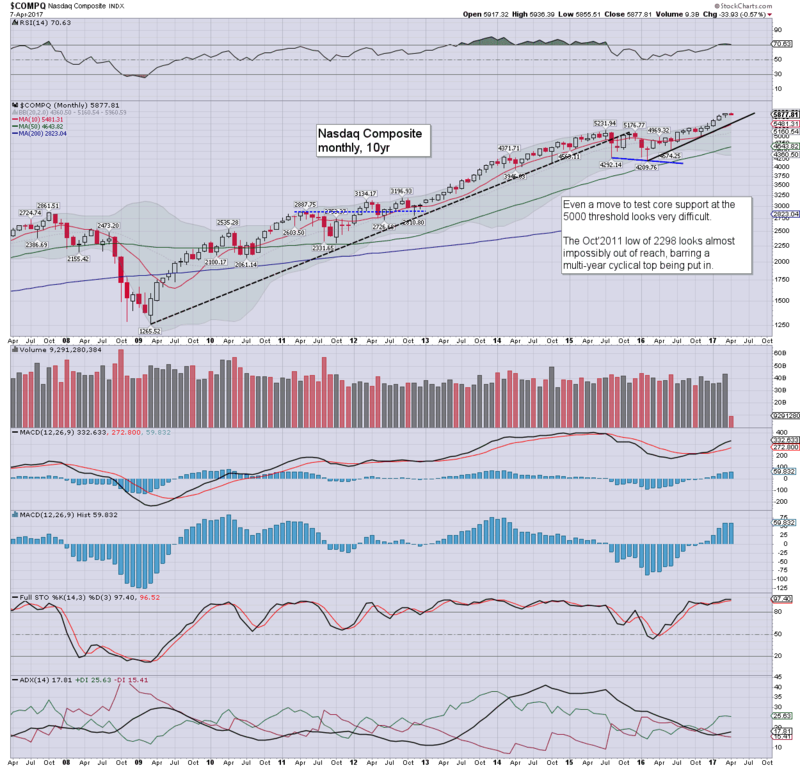 Whilst there has been recent weakness, its notable that all indexes remain close to historic highs, with the Nasdaq comp' leading the way higher. 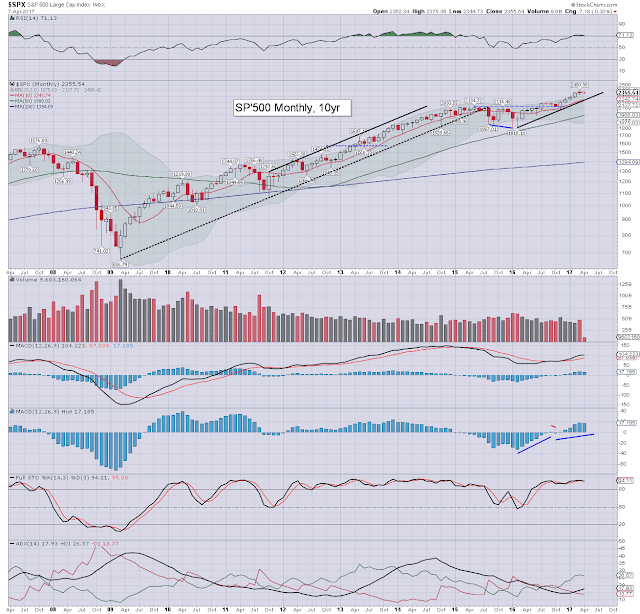 Equity bears need to see the sp'500 settle April or May <2240 to have any hope that a massive multi-year top is in. As things are, the year end target of 2683 remains on track. The sp'500 saw a historic high of 2400 on March 1st 2017. Since that time, price action has been choppy, leaning on the weaker side. The recent low of 2322 looks increasingly secure. The 10MA is now at 2243, and is essentially in sync with rising trend that extends back to the Feb'2016 low of 1810. Underlying MACD (blue bar histogram) cycle is ticking lower. Even at the current rate, a bearish cross is out of range until at least June. 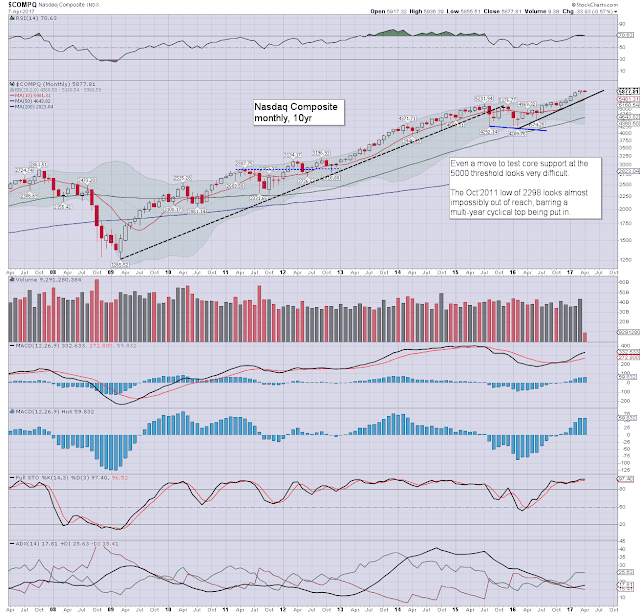 Note the upper bollinger, now at the 2400 threshold, and rising around 25pts a month. By Dec'2017 (8x25=200), we're looking at 2600. Its possible we'll even see an acceleration in upward 'bollinger allowance', to the 2700s. Clearly though, anything above 2700 is technically a stretch. Best guess: battling upward through the French elections into May to 2425/50. The market is still due a basic 5% retrace. 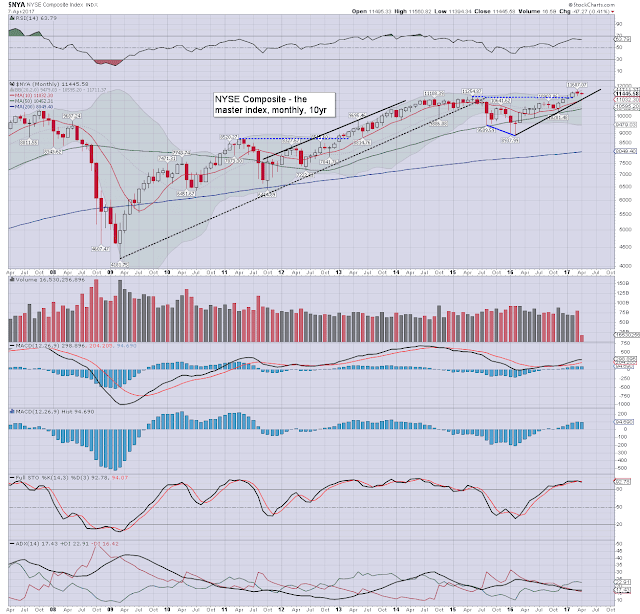 Scenario 1 would offer the low 2300s in June/July, or Scenario 2 - a retrace in Sept/Oct, but starting from around 2500. In either case... broad upside to settle the year within the 2600/700s. Equity bears have nothing to tout unless a break of rising trend, with a monthly settlement under the 10MA. The Nasdaq continues to lead the US equity market, and even saw a new historic high of 5936 this past Wednesday. We're now almost 20% above core support of the giant 5K threshold. The 6000s are due, with the 7000s just about viable by year end. The mighty Dow saw a new historic high of 21169 in March, with recent cooling to 20412. Indeed, it should be clear to most that the 20k threshold is now going to act as first big support. Upper bollinger will be offering new historic highs of 21300/500 in May. Even a 5% retrace would then still see 20k hold. 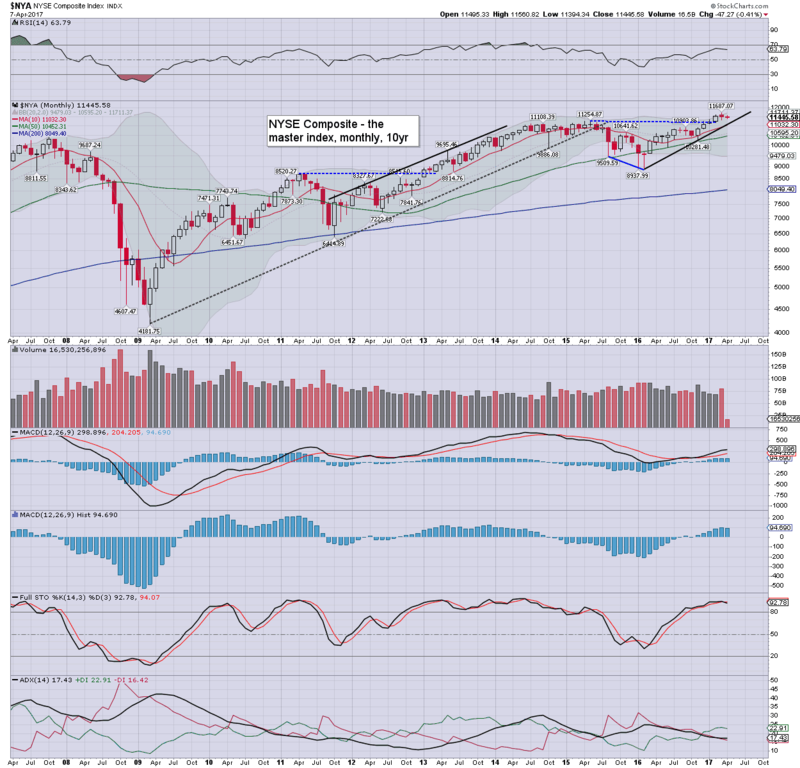 A year end close in the 22000s is on the menu. 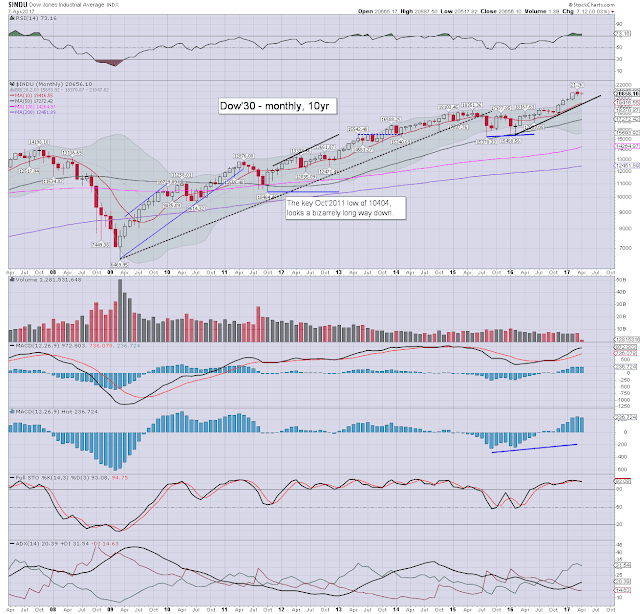 It is VERY notable that from July onward, any price action under 20k would be a break of rising trend. 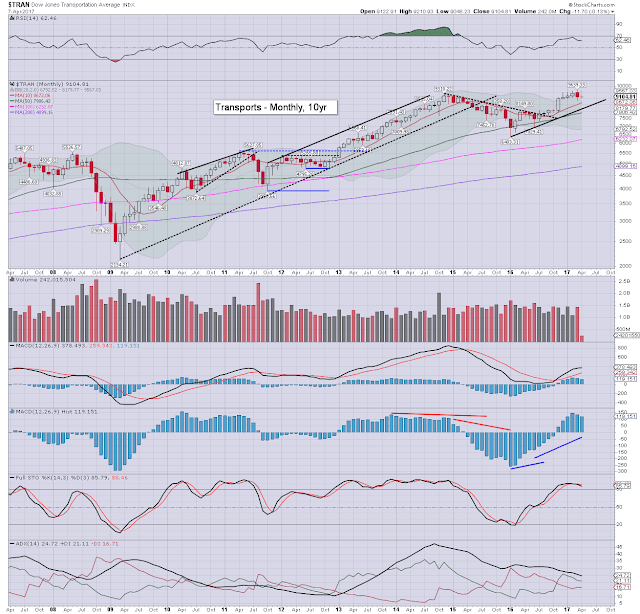 A monthly close <20k would merit alarm bells. Right now, the most bearish downside target would be 15/14k. The master index is currently net lower for April by -0.4%, having cooled from a March historic high of 11667. Core support is now up to 11k. The 12000s look viable in May. The most bullish year end outlook would be the 13000s. The second market leader - R2K, is currently net lower for April by a rather significant -1.5%. However, broader price action remains bullish. Upper monthly bollinger will be offering the 1500s in May. Price momentum is on the high side, and we are seeing an initial rollover. However, equity bears have nothing to tout unless a break back under 1300, which is around 4% lower. The 'old leader' - Transports, had an interesting March, breaking a new historic high of 9639, but then swinging sharply lower to 8798. 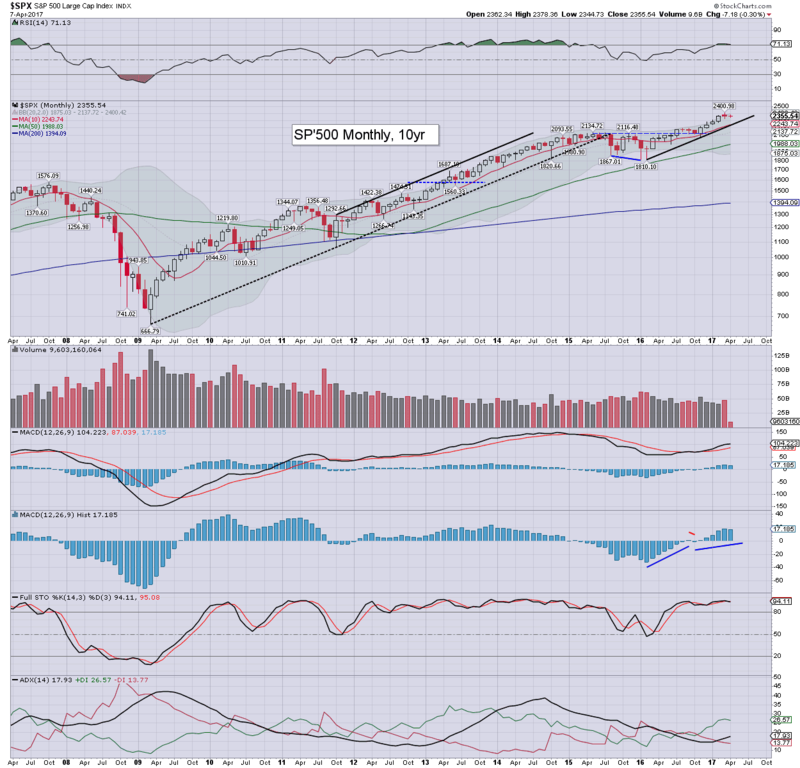 So far this April, price action is far more stable, with soft support around the 9k threshold. The key 10MA is now in the 8600s, and will have risen to around 9k in July. Any price action <9k from Sept' onward would be a real problem to the equity bulls. All US equity indexes remain holding within mid/long term upward trends. All indexes are near historic highs. The US market is still regularly generating new historic highs, lead by the Nasdaq. Technically, equities are clearly over-stretched, with recent price action arguably just consolidation before another push upward into May. 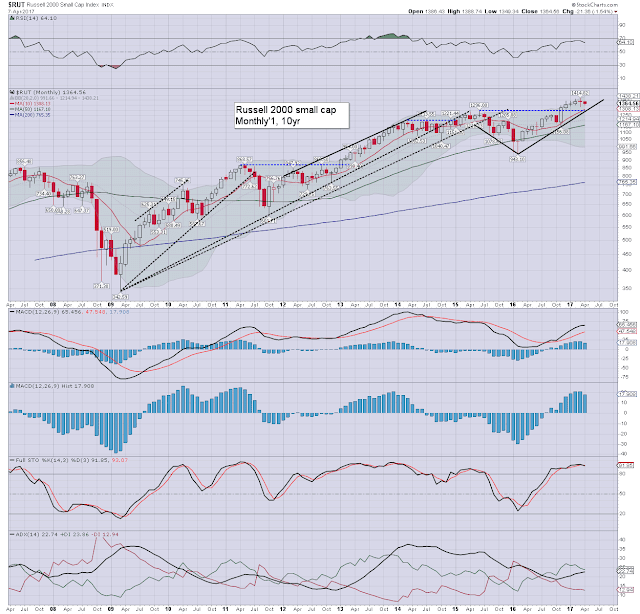 Bearish perspective: a retrace of more than 5% would see rather significant technical breaks in a number of indexes. There is a viable 5 wave count (from the 2009 low), as also seen in a number of world equity markets (such as the German DAX). The primary problem is there are some very bullish upside breaks, such as Brazil, UK, Australia, and France, all suggestive the US market will rally another 10/15% into year end. 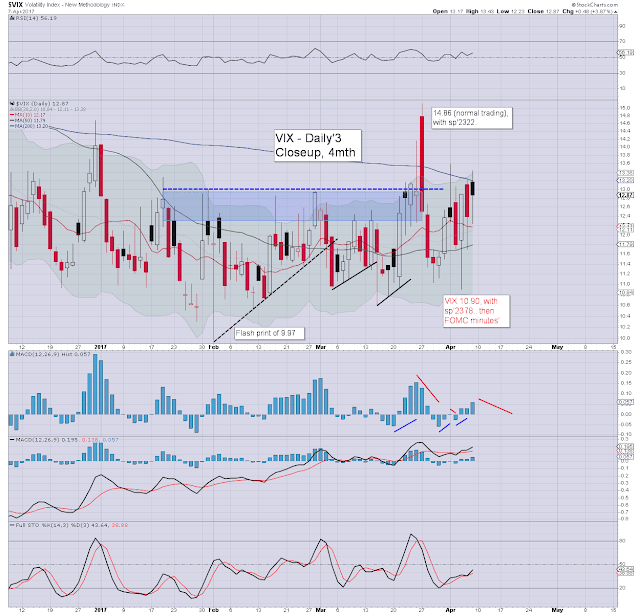 Bullish perspective: price action remains very strong, as reflected in a broadly subdued VIX. So long as the fed raise rates at least twice more before year end, the financials will hold strong. 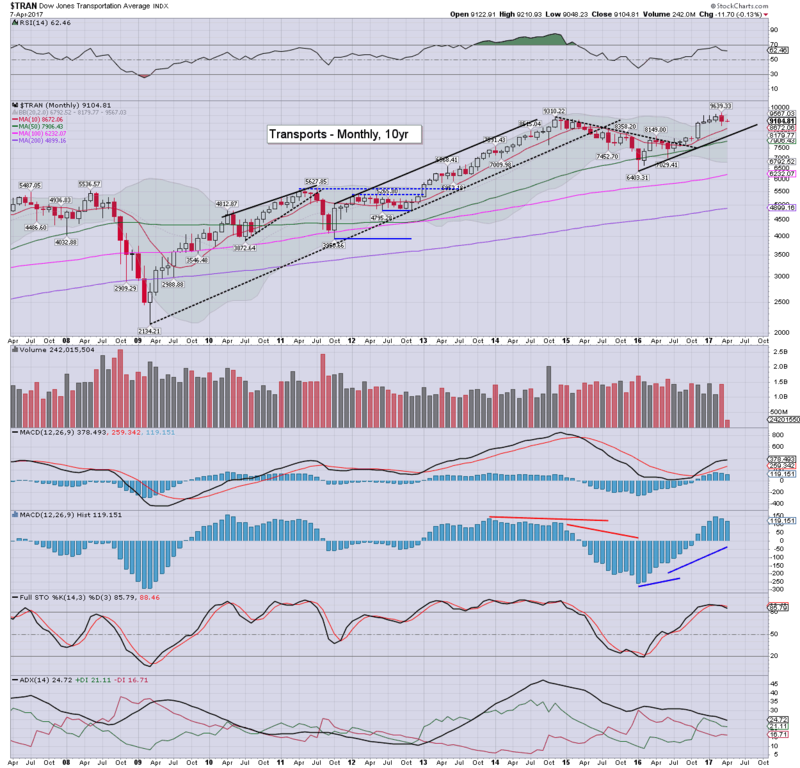 Energy sector just needs WTIC to around $60 to build gains. Corp' earnings and econ-data are coming in 'reasonable', the US economy is not at threat of a recession in the near term. It will be a short week, as the Easter break is coming! T - weekly jobs, PPI, consumer sent', EIA Nat' gas report. F - CLOSED, although still scheduled: CPI, retail sales, bus' invent'. *Yellen is due AH Monday at the Gerald R. Ford School of Public Policy in Michigan. Kashkari is set to appear Tuesday, its possible he may cite the recent monthly jobs data as evidence he was correct to dissent against the March rate hike. If you value my posts, you can support me via a monthly subscription. 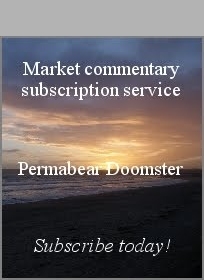 For around $1 per trading day, you will have access to my continuing intraday posts at permabeardoomster.com. 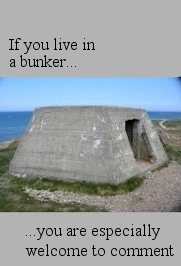 Those total around 220-245 a month. Or you could buy one share of SNAP. US equity indexes closed moderately mixed, sp -1.9pts at 2355. The two leaders -Trans/R2K, settled -0.3% and u/c respectively. 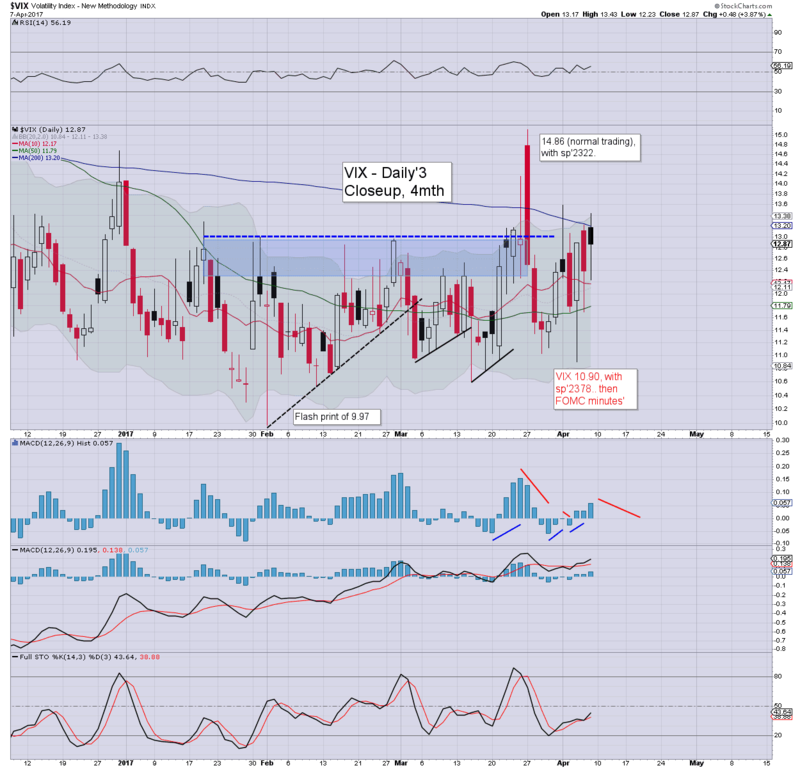 VIX settled +3.9% at 12.87. Near term outlook offers another attempt to clear big resistance of the 2380/90 zone before the Easter break. 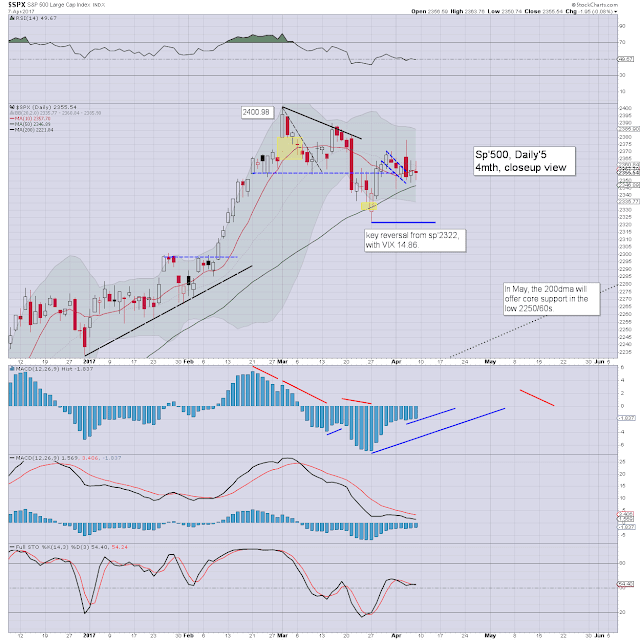 A broader move to the 2425/50 zone seems due by early May. Well, I ended yesterday on a rather positive note. Jobs data was looking like it would come in 'reasonable'.. somewhere above 200k. Instead.... Trump launched an overnight cruise missile barrage to a Syrian airbase. The jobs data came in at just 98k, and there was an Islamic terrorist attack in Sweden. As for the market... it was a day of minor chop, with a VIX that was still reflecting a capital market with no real concerns. Pretty incredible, right? Spring sunshine amongst the Hawthorn flowers. That is bullish, right?